In the late 1920s, he went to Paris for a short period, but returned to Spain in 1930. When the Spanish Civil War broke out in 1936, he sided with the loyalists and briefly supported their efforts as a camouflage painter before relocating to the United States. His political allegiance to the Spanish Republic led to a three-year consular appointment in Philadelphia. 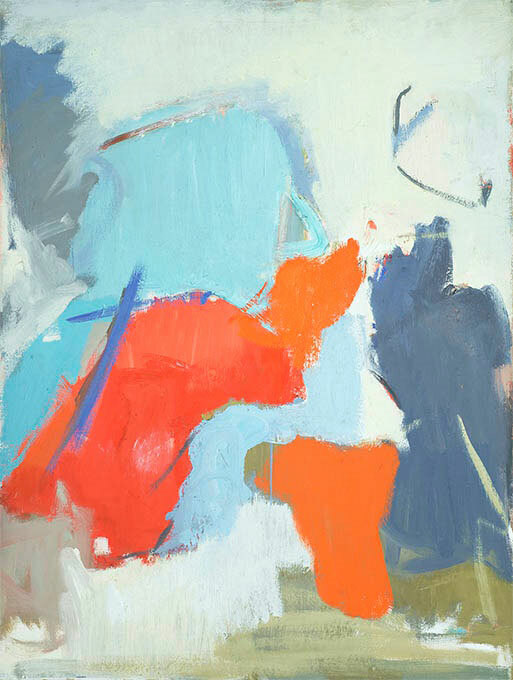 He relocated to New York City in 1939 and over the next decade he began to frequent the Cedar Tavern, a bar in lower Manhattan where other emerging modern artists—including Willem de Kooning Franz Kline, and Jackson Pollock—routinely gathered. As was the case for these painters, Vicente’s aesthetic was bring transformed from its representational roots to a wholly new mode that came to be known as Abstract Expressionism. Often described as elegant and mannerly, Vicente was a central member of the pioneering movement’s first generation of artists. In the summer of 1953, Vicente was invited to teach at Black Mountain College in North Carolina’s Blue Ridge Mountains. During a semester devoted to music and dance, Vicente, along with Joseph Fiore, led classes in painting. Over the course of his career, Vicente served on the faculties of many leading universities, including: the University of California, Berkeley, in 1954 and 1958; New York University, 1959–1969; Yale University, 1960–1961; the University of California, Los Angeles, 1962; and Princeton University, 1965–1966 and again 1969–1972. The prize-winning American poet John Ashbery once praised Vicente as being “admired as one of the best teachers of painting in America.” Beginning in 1964, Vicente maintained a residence and studio in Bridgehampton, on Long Island, until his death in 2001. Three years prior, the Museum of Contemporary Art Esteban Vicente opened in Segovia, Spain, with a core collection of over one hundred and fifty works donated by the artist and his wife.